The Valencia-born guitarist Ximo Tebar, with his revolutionary style of “Son Mediterranean”, which is a fusion of flamenco and jazz, is today a name appreciated by masters like Benny Golson and George Benson. 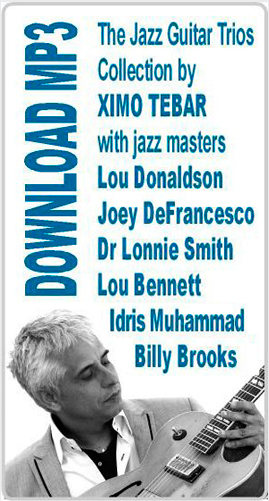 Since his move to New York, he has been playing gigs at venues like Apollo Theater, Jazz at Lincoln Center and Birdland with, mostly, old cats like Lou Donaldson, Benny Golson, Joe Lovano, Dave Samuels, Joey DeFrancesco, Dr. Lonnie Smith, Louie Bellson, Anthony Jackson, Johnny Griffin, Tom Harrell, Idris Muhammad, Arturo O’Farrill and Dave Schnitter. Having recorded 16 albums to his name, he is receiver of the Spanish Ministry of Culture Award for 4 times and twice the RTVE “Jazz Entre Amigos” Dexter Gondon Award. 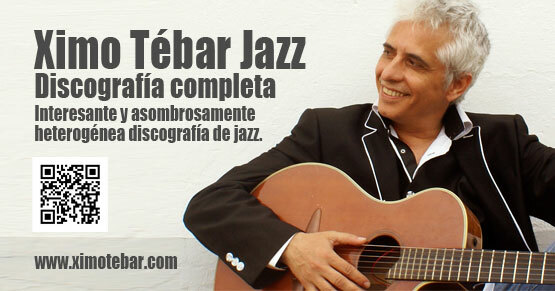 Taber continues to teach jazz guitar, improvisation, music business and production at Music Conservatory of Valencia “Joaquín Rodrigo” and holds master class seminars. And now, he will be with us to hold a two-night-long flamenco-jazz feast.